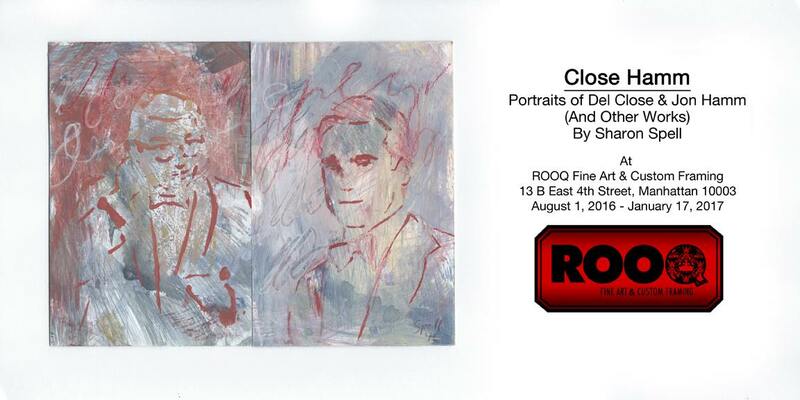 Opening Monday August 15, 7 pm to 9 pm at ROOQ Fine Arts and Framing. On view through January 17. Artist Sharon Spell seems to have each one of her hands equally in art and comedy: she’s worked with UCB since 2007, performs at The Moth, and has illustrated comic strips for the freaky people at The Onion, just to name a few bits from her resume. These two worlds unite in her “Close Hamm” diptychs– paintings depicting two distinct people joined together to create one image, much like the fine art of balance an improv-comedy duo’s always aiming for.